The Town of Jackson values our close relationship with the community of Wutai Mountain and we look forward to welcoming you to our community. We are excited about the opportunities that this partnership presents, particularly the opportunities will be explored and discussed as part of this program and that it will be a rewarding experience for all participants. By promoting cross cultural and cross marketing opportunities between our two communities, we hope to further expand the impact our beautiful community has on guests and also to enrich our own experiences and opportunities with the wonderful amenities and beauty offered by Wutai Mountain. We are a destination resort that is also focused on both economic and environmental sustainability, energy, efficiency, maintaining our unique character and continuing to serve as the heart of the region. I hope this relationship will offer participants a measure of comfort and relaxation and allow more people to relish the beauty of the west and explore Jackson Hole as well as to explore what Wutai Mountain has to offer. Again, welcome to our community. The United States has many iconic features. None speak more to the natural wonders of our country than Yellowstone National Park, the Teton Range and Devils Tower. Add to that the true Western lifestyle with cowboys, horses and herds of wildlife and you’ll see that Wyoming offers the ideal American experience. Whether you make yourself at home on a ranch or join your friends on a bus tour, your travels to Wyoming are sure to delight. Watch Old Faithful erupt. Enjoy the wildlife that roams through Hayden Valley. Take in the stars that twinkle on the black velvet sky over Devils Tower. Get to know our friendly people, or get to know the solitude that is available only in the wide open spaces of the American west. I hope you’ll be inspired by this website to learn more about traveling to Wyoming. For more information, you can also visit the official website for the Wyoming Office of Tourism at www.wyomingtourism.org. In the last seven years leaders from the state of Wyoming and Shanxi province have worked together and become good friends. Through a series of exchanges, we have established many common interests in energy and tourism. As we have explored these interests, we have also become even more aware of the importance of sustainable management of our tourism industry in safeguarding our natural and cultural resources. This website is a result of these growing ties. It reflects the opportunities and benefits both partners see through the exchange of best practices in tourism management, the mutual promotion of tourism, and the strengthening of people-to-people relations between Wyoming and Shanxi. As mountain communities and destinations for visitors from all over the world, Jackson Hole and Wutai Mountain are at the heart of this partnership. Both communities pride themselves on their natural and cultural resources, each drawing millions of tourists from all over the world. We look forward to developing even closer ties as citizens from our two communities and states visit each other and promote international cooperation and trust over the coming years. 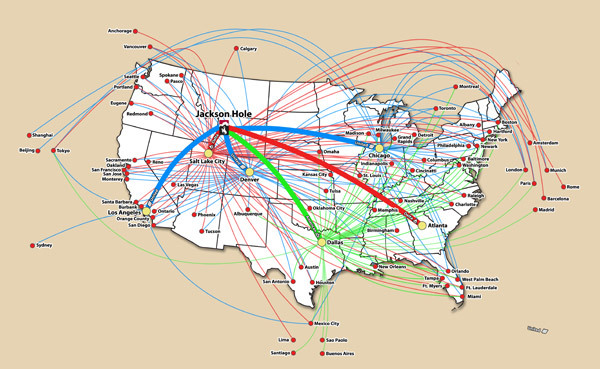 The Memorandum of Understanding (MOU) is entered into on the 30th day of April, 2008, between representatives of the Town Of Jackson, Jackson, Wyoming; Jackson Hole Center for Global Affairs, Jackson Hole, Wyoming; and representatives of the Mt. 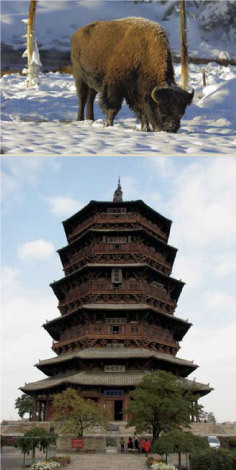 Wutai Tourism Administrative Bureau, Xinzhou District; the Taiyuan Vocational Institute of Tourism; and the and Shanxi Provincial Tourism Administration referred to collectively as the “Parties” to this MOU. WHEREAS, the parties intend to work within their governments, to accomplish the following mutually agreed initiatives to promote travel, tourism and vocational education between Jackson Hole, Wyoming, Wutai Mountain, Shanxi and the Vocational Institute. Identify and invite tour operators to both Wutai Mountain/Shanxi Province and Jackson Hole/Grand Teton National Park/Yellowstone National Park, Wyoming. The term, “tour operators”, shall refer to service providers who offer complete packages (visa applications, itinerary and travel arrangements, meals and accommodations, travel and health insurance, etc.) to potential customers. This initiative will include tour operators who operate from the US to China, and from China to the US. a) Cultural resources including museums i.e. Buffalo Bill Historical Center and Museum of Wildlife Art. 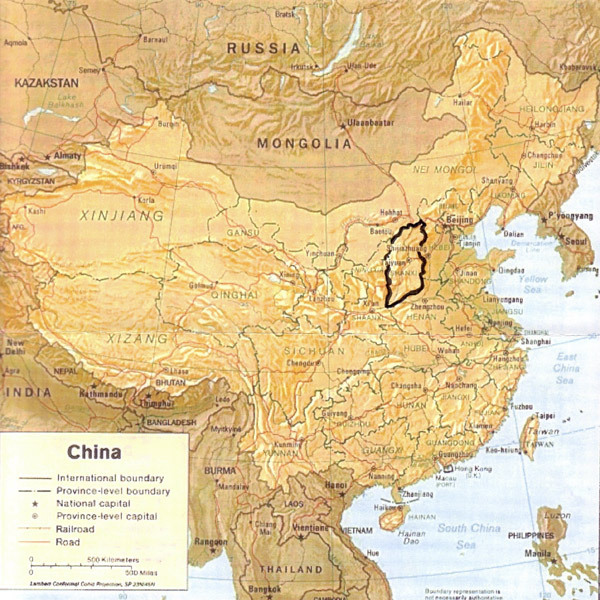 b) Government resources including an exchange between U.S. National Park and US Forest Service/Shanxi Forestry Services. 5-Year outcomes with annual review. 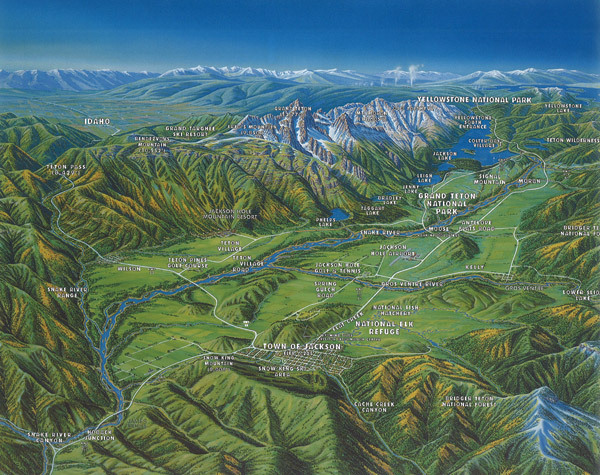 Evidence – increase in Chinese tourists to Wutai/Jackson Hole and Shanxi/Wyoming. This MOU does not exclude any of the Parties from making other agreements with other organizations, or government agencies in China or the United States. Harnessing the inspirational power of Jackson Hole, the Jackson Hole Center for Global Affairs brings together individuals and organizations to identify and respond to global issues of interest and concern to the community. As reflected by this mission statement, the Jackson Hole Center for Global Affairs (www.jhcga.org) is a bipartisan, community-based global policy center that brings opportunities for education and action on global affairs to the community of Jackson, WY. JHCGA does this by convening seminars and bringing outside speakers to the community. These events provide a basis for gauging the community’s interest in a particular issue or issues of global affairs. Where it appears, based on this assessment, that JHCGA can make a difference, it then organizes a policy project on this issue. JHCGA’s flagship project has been the U.S.-China Clean Energy Initiative. Initiated in 2003, the project responds to Jackson’s interests and concerns relating to the global environment, Wyoming’s interests and capabilities in coal production and consumption, and China’s reliance on coal for 70% of its total energy supply. Addressing these concerns, the project has sought over a series of six exchanges (see “Wyoming-Shanxi Story,” below) to share information and know-how related to the reduction of carbon emissions from coal mining and combustion. Each of these exchanges has involved between 35 and 50 government officials, business leaders, and technical experts from Wyoming, Shanxi, and elsewhere in the U.S. and China. JHCGA has a governing board of six community leaders in Jackson Hole and an Advisory Board of 15 policymakers and private sector leaders, divided roughly equally between Jackson Hole and elsewhere in the U.S. Its many partners include the East-West Institute, the Natural Resources Defense Council (NRDC), the U.S. Environmental Protection Agency, and the School of Energy Resources and International Studies program of the University of Wyoming. JHCGA leverages the influence of these and other partners through its two Boards and its two professional staff members.